Bring your love of Star Wars into every room of your home with these vibrant Star Wars home decor items. 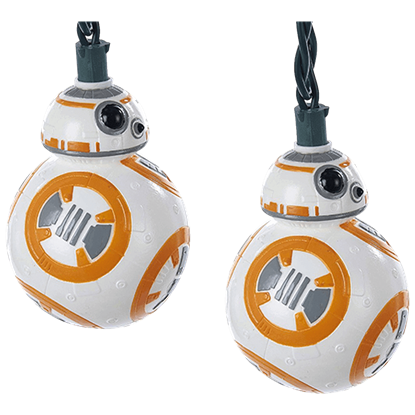 Based on characters and films from the hugely popular space opera franchise, these items make perfect gifts for any Star Wars fan in your life. 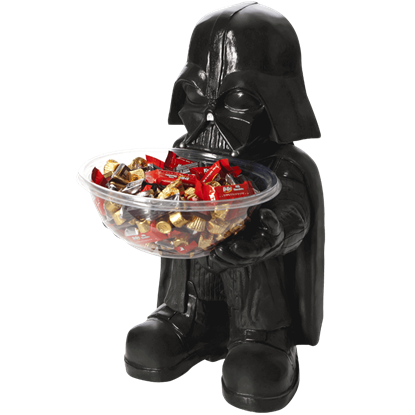 Put Darth Vader to work holding candy or one of your favorite treats with our Darth Vader Candy Bowl Holder. Bring a touch of Jabba the Hutt decorating style into your bathroom with the Han Solo in Carbonite Shower Curtain. Protect your tables from damage by using any of our coaster sets. Embrace the retro style at school or work when you carry your lunch in one of our tin totes or lunchboxes. Kylo Ren and the First Order stormtroopers will keep you on task when you hang the Star Wars The Force Awakens Wall Clock in any room. Keep checking back as we add new styles to our Star Wars collectibles and home decor whenever they become available. Here stands the bounty hunter of Star Wars legend, ready to share a rich supply of Halloween treats with your fellow partygoers. 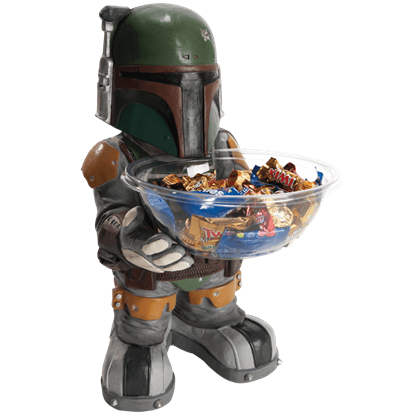 Fans of the Mandalorian warrior will wisely add the Boba Fett Candy Bowl Holder to their home decor. 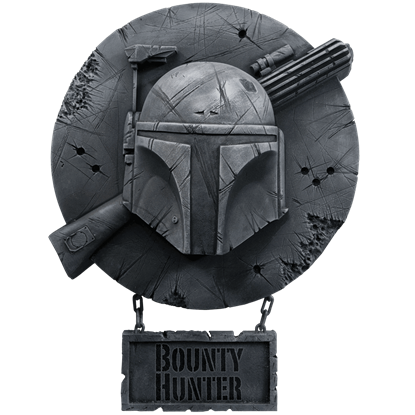 Inspired by the Mandalorian bounty hunter of the epic Star Wars saga, the Boba Fett Wall Plaque will make an exciting addition to your home decor. This sculpture possesses amazing detail, making it a must-have for your collection. It is always time for Star Wars! 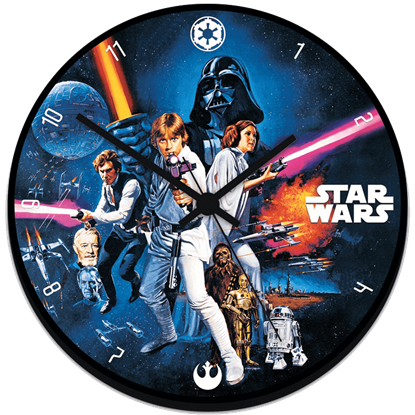 The Classic Star Wars Wall Clock, displaying an original Episode IV movie poster design, makes a great accent for any fans room. Hang the round clock on your wall to show your love for the films! 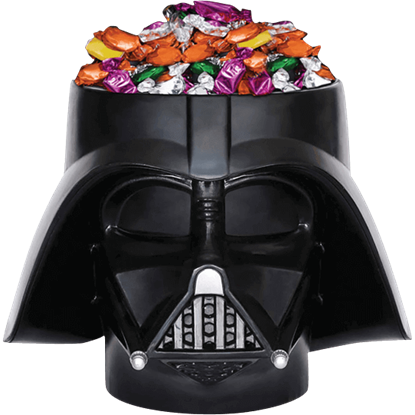 Bring the Dark Side into your home this Halloween with the Darth Vader Candy Bowl. Fashioned in the shape of the iconic helmet of the imperial Sith Lord, this candy bowl is a must-have for true Star Wars original trilogy fans. Welcome either trick-or-treaters or guests with the bountiful supply of treats offered by your favorite Star Wars villain. Cater to the dark side of the Force as well as your love for sweets with the Darth Vader Candy Bowl Holder. Turn your light side dark with the Darth Vader Porch Light Cover. 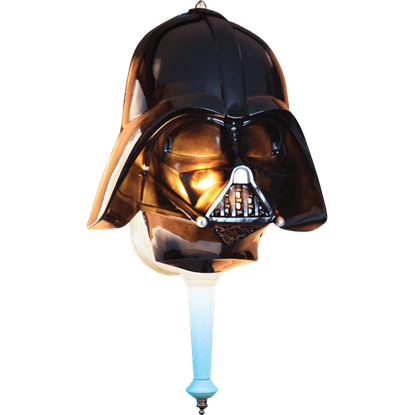 This Sith Lord helmet fits over almost any standard porch light, and when the light switch is flipped on, it glows like a funeral pyre on the moon of Endor. Star Wars fans everywhere will admire the detail found in this depiction of Anakin Skywalker. 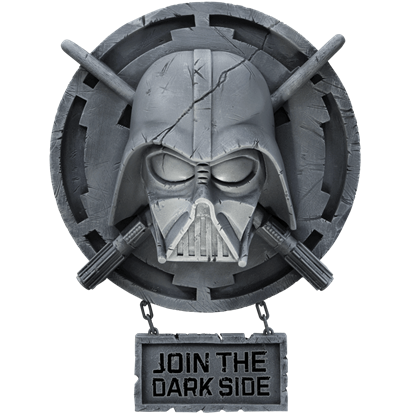 Based on the Sith Lord as he appears in the original trilogy, the Darth Vader Wall Plaque is an exciting addition to your home decor. A Star Wars poster graphic from Episode V of the original trilogy decorates the front of this collectible metal tote. 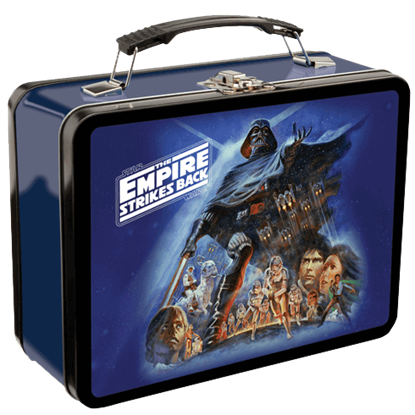 New and longtime fans are sure to enjoy the vintage artwork on the Empire Strikes Back Tin Lunchbox. 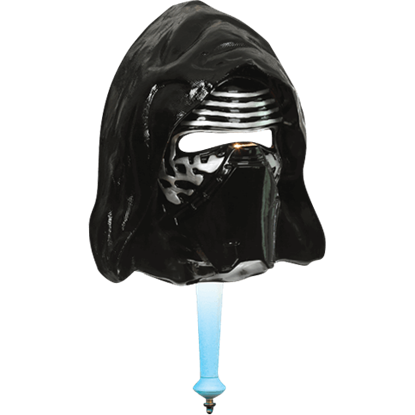 Protect your house from obliteration by supporting the First Order with the Kylo Ren Porch Light Cover. This hooded mask fits over almost any standard porch light, and the eye-slot focuses the light into a narrow but powerful beam. 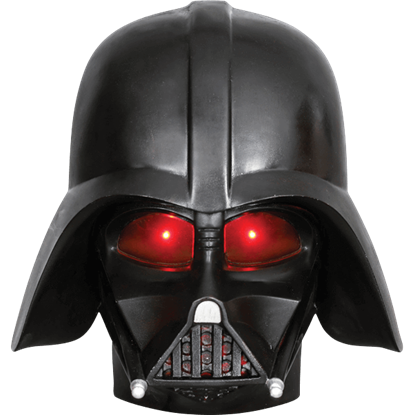 Show your allegiance to the Empire with the Light-Up Darth Vader Wall Decor. This decoration features battery-powered lights and sounds that simulate the reflection of a lightsaber and the raspy breathing of the Sith Lord himself. 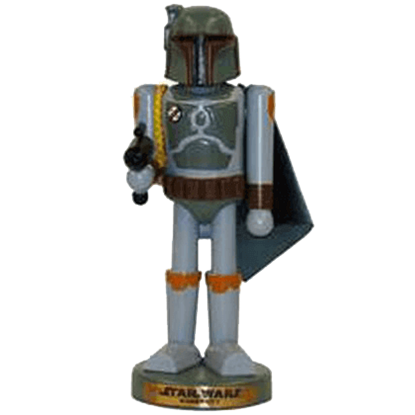 Welcome your favorite bounty hunter into your holiday home decor with the Star Wars Boba Fett Nutcracker. This collectible nutcracker features a stylized version of the famous bounty hunter made from painted wood with a fabric cape.